Coupe style and folding hard top. Just as good to drive as the soft-top. Available with an auto. Very limited headroom for taller occupants with the roof up. Poor over the shoulder rear 3/4 vision. Lots of wind noise with the roof down at motorway speeds. Avoid the auto unless you really have to. Want a Mazda MX-5, but worried about the lack of security or refinement provided by a fabric top? 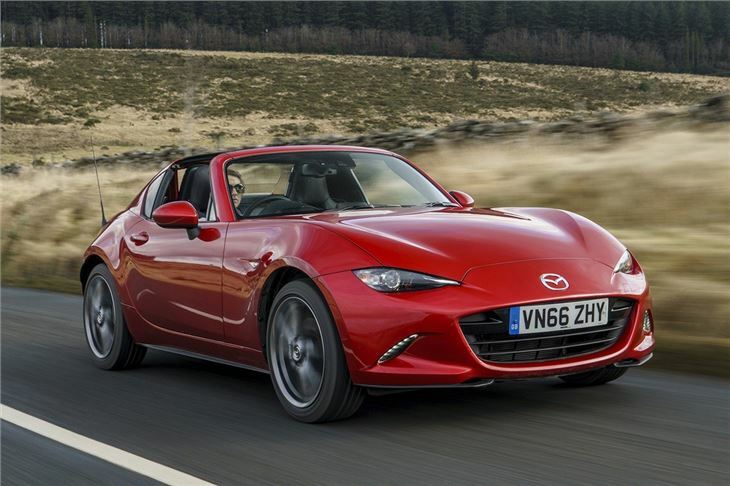 The MX-5 RF – Retractable Fastback – should fit the bill perfectly. 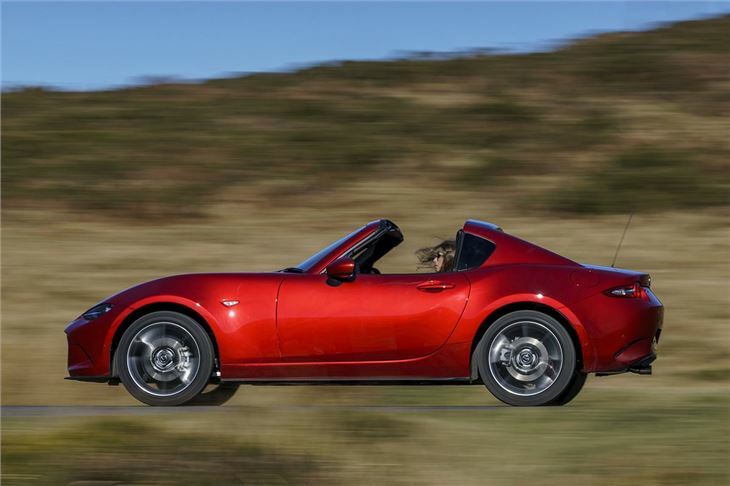 It’s just as good to drive as the soft-top yet still provides wind-in-the-hair thrills - but make sure you fit in it because headroom is tight. 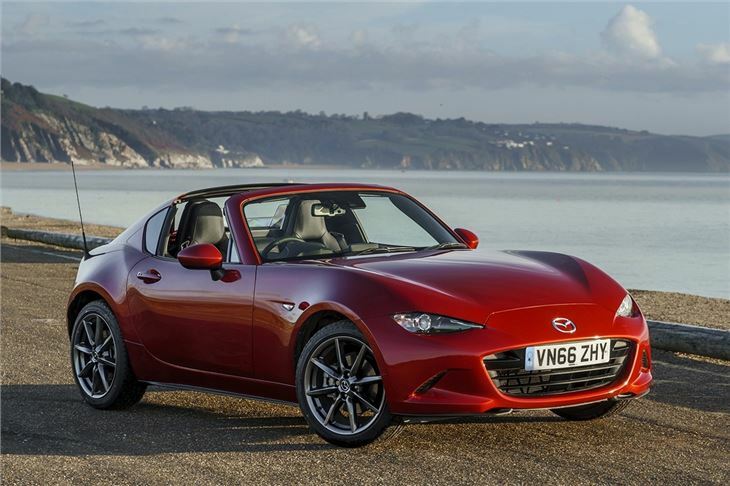 The roof mechanism isn’t hugely complex, so the two-part metal top fits neatly into the same space as the fabric roof of the regular MX-5. 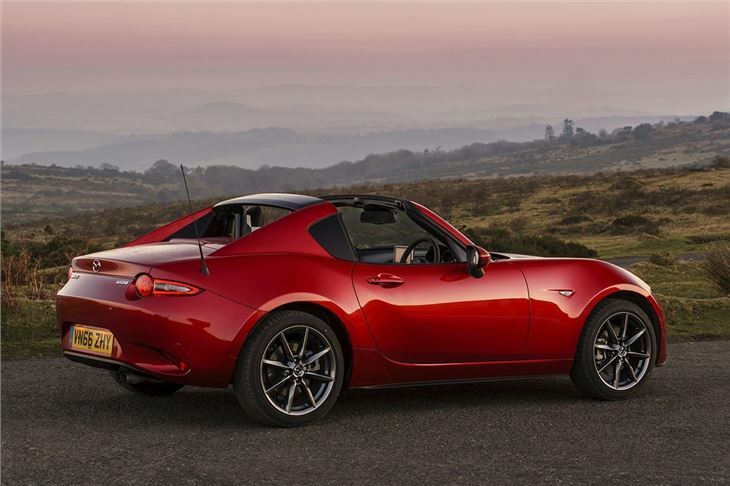 The trade-off is a pair of coupe-like pillars that give the RF a targa-like profile, rather than traditional convertible looks. It takes 13 seconds to fold up or down and works at speeds up to 6mph. Despite the way it looks, the RF feels like a proper convertible on the road. It’s also more refined and quiet when the roof is in place, thanks to the thicker metal top. The downside is the reduced head room versus the soft-top – which was already tight for tall drivers. 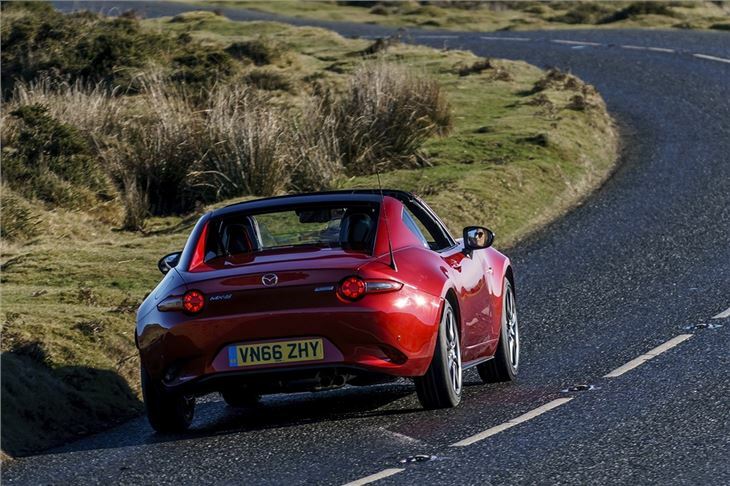 Aside from the roof, the MX-5 RF is largely the same as before. 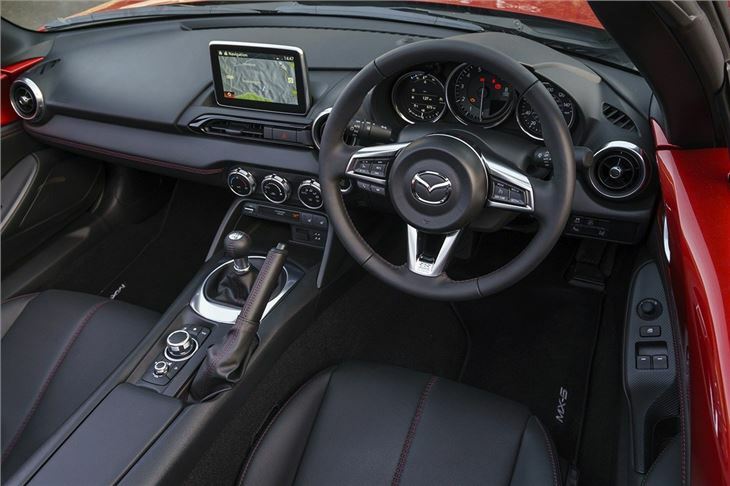 The dashboard has an identical layout, the boot is the same size and the engine range is mirrored with a 131PS 1.5-litre petrol and a 2.0-litre petrol with 160PS (132PS and 184PS respectively from 2019). The 2.0-litre's available with a choice of a six-speed manual or six-speed torque-converter automatic gearbox. The manual is lovely to use - possibly one of the best manual gearboxes available on a new car - that opting for the automatic feels like a shame, especially as the auto is a bit clumsy on the upshift. 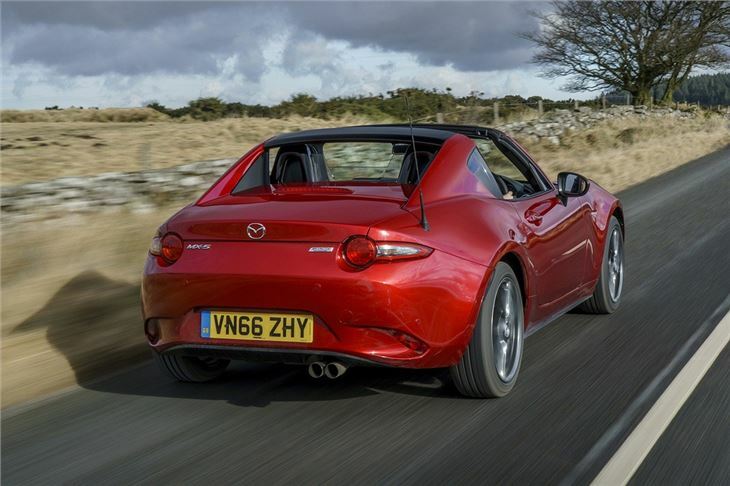 The handling is as good as the soft-top too – if not a tiny bit better - thanks to some extra stiffening in the chassis and bespoke suspension settings, making the steering more sharp and immediate. It’s an absolute joy to drive, with beautifully weighted controls and superb precision through bends. It costs a little more and there is no basic SE trim level, but the RF feels worth the extra. It looks good, drives well and has the added benefit of better security and improved refinement over the convertible. It might not have the same pure roadster feel, but it’s a better all-rounder. If you can fit that is. Look no further for a quality, fun roadster!